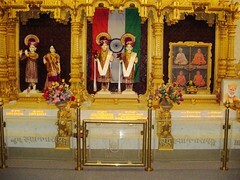 The temple is closely connected with the world-wide network of Swaminarayan (BAPS) temples and centers. It is one of five in New Jersey; in Edison (1991), North Bergan (2000), Cherry Hill (2002), and near Atlantic City (2002-in Absecon, NJ 08201; 609-748-7881). See other BAPS profiles. 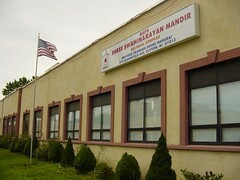 The BAPS Swaminarayan temple in Clifton, NJ, is a branch of the Swaminarayan temple in Edison, NJ, which was founded in 1991. 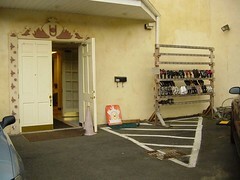 In 1996, the organization started looking for a temple site in northern New Jersey. They focused on finding a suitable, affordable property in a central location. The central committee of the temple found a property, an old printing press and warehouse, in 1998. They purchased the property that year for $1.2 million and carried on a two-year renovation process that ended in 2000. The township was very cooperative, and the acquisition of permits and zoning regulations went smoothly. That year they celebrated the grand opening of the temple with a consecration ceremony. There are several administrative positions in every BAPS temple organization, all of which are volunteer positions. Responsibility for the larger BAPS organization is in the hands of over 700 monks who live in different parts of the world. These men have taken vows of chastity and celibacy and are responsible for various aspects of the international organization. Some live in the US and oversee the centers in a given region. One monk who lives in New York is responsible for the centers in New Jersey, New York, and Boston. 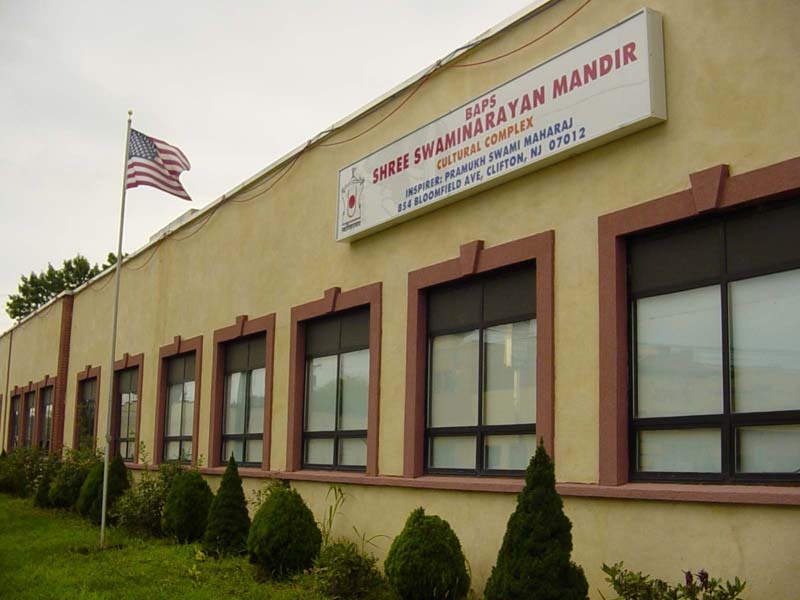 The temple programs revolve around worship of Lord Swaminarayan, called arthi, which takes place everyday at 6:30 a.m. and p.m. On Saturdays, there are educational and cultural programs for youth, including religion classes, play time and lunch. 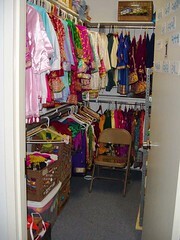 There are also music and dance classes, as well as Gujarati language classes. The weekly communal gathering features arthi, as well as Kathamrut, a religious speech given by a knowledgeable member of the community. 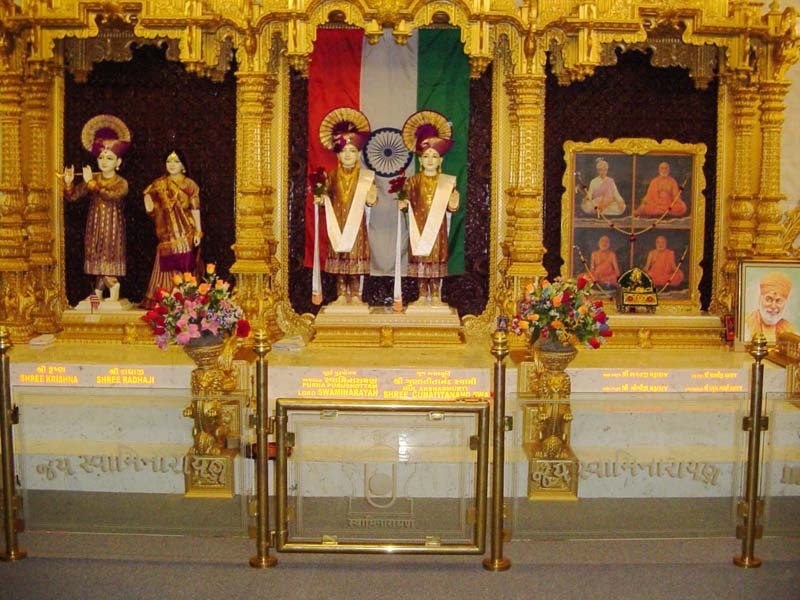 These often focus on the Vrachanamritam, the sacred writings of Lord Swaminarayan from the nineteenth century. On the occasion of major festivals, the temple is linked by live-broadcast to other temples around the world. 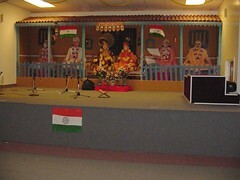 The images used in the worship hall were made in Gandhinagar, Gujarat, India. Another feature of the temple is a special stage built to the side of the main hall that depicts Gadhada, the rural nineteenth-century village scene of the porch of one of Lord Swaminarayan’s disciples. This house was the setting for a famous teaching session by Lord Swaminarayan, and is recorded in his scripture, the Vrachanamritam, no. 8. This stage is used as a backdrop for all cultural and festival occasions at the temple. Also new to this temple is a “Food Department,” which facilitates catering and food preparation for all temple activities.